Maryland residents can get a mobile handset and cellular service with 1000 minutes automatically renewing each month. To qualify, you just need to be receiving some form of government assistance like medicaid, food stamps, SSI, Federal Public Housing, etc. For a full list of qualifying government assistance programs, go to our easy order form - just click the order now button. 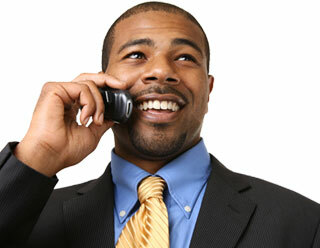 Receive a handset and 1000 voice minutes per month if you are a Maryland resident. Each month your 1000 minutes will automatically be added. If you need more minutes, you can purchase them at discounted rates. With those minutes you can receive or place local and long distance calls, send or receive text messages, and check your voicemail. You won't receive a bill because the service is FREE! There is no credit check, no deposit, and no contract. You can cancel at any time. Lifeline is a Federal program created to make basic phone service affordable for all residents in Maryland. Lifeline Assistance provides up to a $9.25 credit on residential customers' phone bills. Are you looking for an Obama phone? It's actually Lifeline subsidized phone service and you can get it here. Just submit the simple on-line order form and we'll send you your gov't mobile phone right away. You'll receive your phone in about 7 business days. Pay $0 for Mobile Phone Service! *For qualified customers participating in a qualifying assistance program. Prices and offer varies by state. *Free handset is provided by the service provider, not the gov't. Lifeline support is on the service only. Copyright © 2019 myFreeGovernmentPhones.com All Rights Reserved.